Disclose complaints of corruption received against Union ministers between 2014 and 2017 and the action taken on them. Share information about the quantum and value of black money brought back from abroad during the tenure of the Narendra Modi dispensation, along with records of efforts made in this direction. These are just some of the questions that Indian Forest Service officer and Right to Information activist Sanjiv Chaturvedi was seeking. The Central Information Commission has now directed the prime minister's office to disclose these details, in what Chaturvedi terms as a success in the fight against corruption. 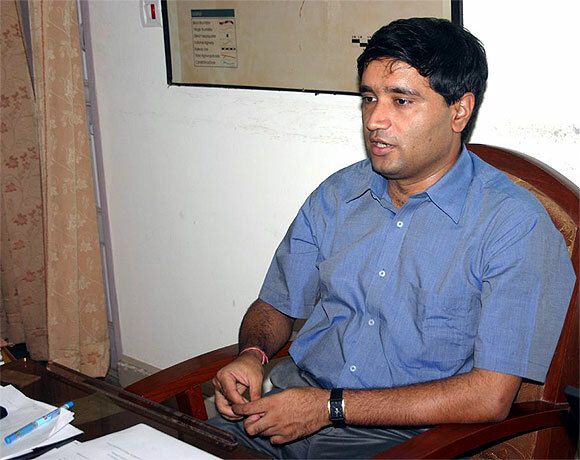 In 2014, Chaturvedi tried to expose the corruption at the All India Institute of Medical Sciences in New Delhi and was transferred overnight by the Narendra Damodardas Modi government. Prior to that he had taken on the Bhupinder Singh Hooda government in the infamous Haryana forest scam and here too he was punished for his honest work. "As citizens, we have to take our roles very seriously. Only that will solve the corruption problem. Only when we do that will our problems be solved," Chaturvedi -- a recepient of the Magsaysay Award tells Syed Firdaus Ashraf/Rediff.com. Why did you file this RTI seeking information about the status of black money in India? I filed this RTI in a personal capacity as a citizen of this country. As a citizen, I have been fighting against corruption in our country. I belong to a family of freedom fighters; my grandfather was a freedom fighter. So, the issue of corruption is personal for me. I have been studying how to fight corruption within our democratic framework. So, I just wanted to see how our present system functions and therefore, I sought certain information from the PMO. As far as corruption is concerned, it is related to people who are in high positions and I wanted to see the data and how effective our system is to fight corruption. That data (if given to me) will also be useful to me as a citizen and as a government officer. But you did not get a response from the PMO. They provided me with replies. They cited an earlier ruling of the Central Information Commission and their viewpoint was that it was generic information. As far as black money is concerned, they said this is not information under Section 2 of the RTI Act. I put forth my argument that this is not generic information. I also put a class of information regarding (against whom) I wanted information. So date and number is specific, it cannot be generic information. Regarding black money, my submission was that whatever efforts were made to trace black money, certain documents must have been made so if there are documents then those documents must be given under Section 2 of the RTI Act. Now, the CIC has accepted my submission and has directed the PMO to give the information. What kind of information are you seeking about black money? Everybody wants to know about black money as it is a long pending issue. Everyone knows that there is certain black money deposited in certain tax havens and if that money was available within our national boundaries it would be used for the welfare of the general public. It has been an important issue from the point of economics of the country's welfare. For that reason I wanted those documents. Imagine if any enforcement directorate officer goes for a foreign visit (to trace black money), documents are generated. I just wanted to learn what type of efforts were made and what has been the result. But the government seems to be quiet on the black money front. I am waiting for the information and I hope the orders of commission will be complied. I will like to go through the information if it is provided. I wanted to know what were the efforts and what was the output. 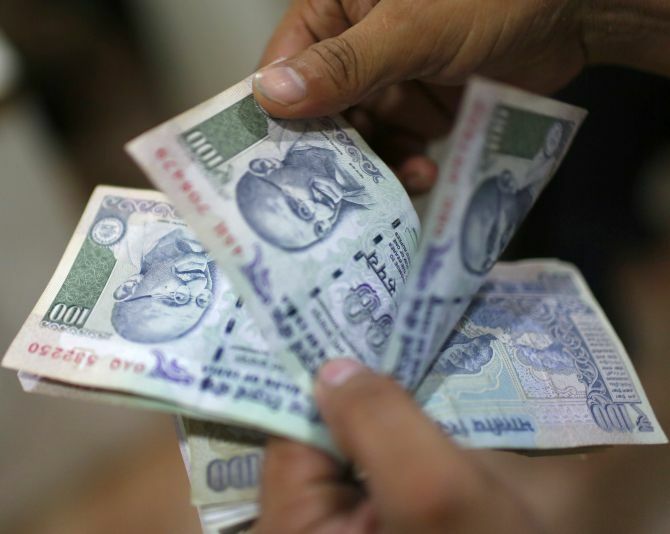 Why is it taking so long to disclose the names of people with black money? As far as my RTI plea is concerned, there are certain processes in the system. I filed the RTI, then it went for first appeal and after that it takes four-five months for the hearing of the case. It took almost one year and now I am hopeful that this statutory body's order will be honoured and the requisite information will be provided to me. That will show everybody how our system has been successful in getting black money. What kind of information did you want under Make in India, Skill India, Swachh Bharat and Smart City? All these are very interesting schemes and I am very emotive about these issues as I belong to Uttar Pradesh. And in UP, people are emotionally attached to the Ganga as it is our national river. I wanted to know what was the allocation of funds by the central government in the last three years to the project Namami Gange. And the most important thing, what was the output of that funds? As a citizen, everyone has a right to know how public money is being spent and what is the impact of this scheme. Similarly, Make in India is a very ambitious scheme. We know we are very weak in manufacturing as compared to China. Make in India was a huge employment opportunity for start-ups too. So, I just wanted to know in the last four years, how many swadeshi products were manufactured under this scheme. Also I wanted to know what has been done to see the establishment of the Lokpal. The Act was notified in January 2014. It is more than four years and a Lokpal has not been appointed. The Lokpal is supposed to be a powerful instrument against corruption in high places. Did you get any satisfactory replies from the PMO for these queries? On two or three issues, I got the information I wanted to know. For instance, I wanted information on the IAS officers who were punished for being corrupt on a yearly basis and I received that information. I also wanted to know how much money was spent on the Swachh Bharat mission and that was also given to me. There is a difference of opinion between me and the concerned officer on the issue of black money and central ministers. Now on all these issues the CIC has passed a recent order and now I hope I will get the information. Did you not get the information about the corruption of ministers? The view of the PMO officers is that it is generic information and so I contradicted them through my argument. The CIC accepted my argument and ordered the PMO to provide the information within 15 days. In the past you have taken on the Congress government in Haryana. Do RTIs help in the fight against corruption? It is a long struggle and a battle to fight against corruption. Fighting corruption is like a second freedom struggle. You know in 1974 Jayaprakash Narayan started a movement against corruption and then in 2011 Anna Hazare spearheaded a movement against corruption. As citizens, we have to take our roles very seriously. Only that will solve corruption problem. Only when we do that will our problems be solved. Secondly, as citizens we will have to rise over our divisions. Divisions within us allow unscrupulous politicians to divert attention from issues like corruption and governance and that affects the delivery of public services. That is the key issue. In our country basic health issues, clean air and clean water are also not taken care of and these are some of the issues on which we need to ask questions from our elected representatives. So, as citizens, if we focus only on these issues and bury all our differences for at least a period of 15 years. only then we will be able to solve our country's problem.